The Garena games portal is like Steam for PCs. It counts 40.1 million monthly users as of June 2017, with 12.9 million daily users spending an average of 2.3 hours per day on the service. 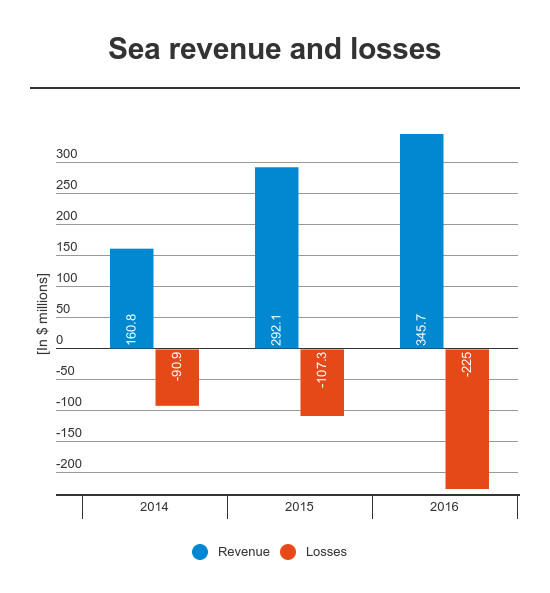 Garena is Sea’s only revenue-generator since the company is still subsidizing Shopee and AirPay is available in just three markets.